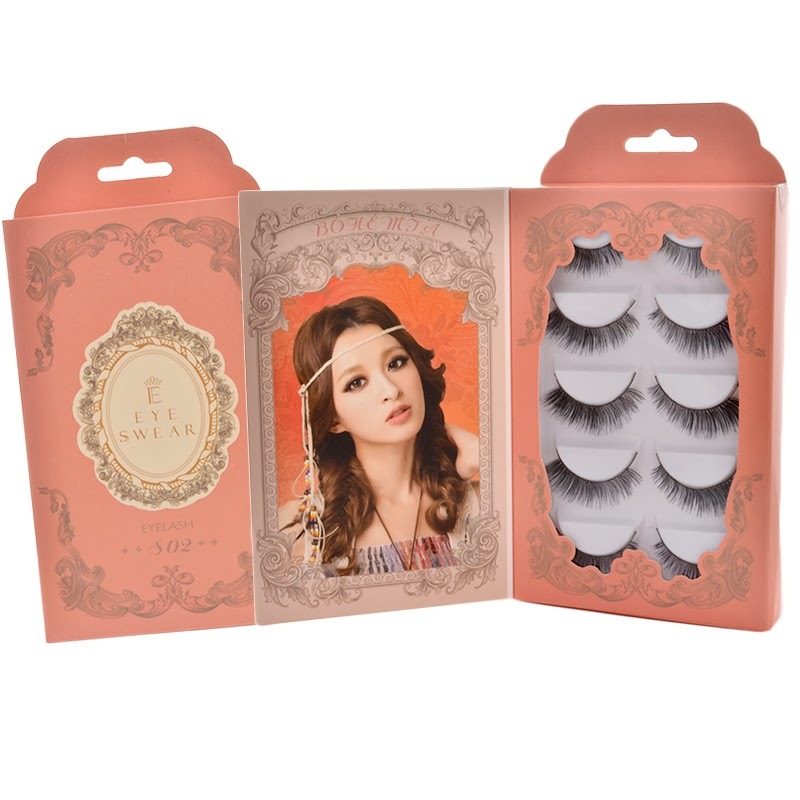 Yeay for another false lash review from Eyeswear! I know ya all would love love love the packaging right? Well, let she how this works on my eye. This collection does not come with a false lash glue. But this set comes in 5 pairs of false lashes! How amazing is that! This is 2 out of 5 styles you can buy! Availability : Out of 5 styles to choose from. What I like about this false Lashes is that although it look a bit dramatic but from my opinion it does look natural as well it is not too heavy on the eye. This is perfect for special occasion makeup! The hair does not look cheap like that plastic kinda lashes. It looks pretty natural. Of course I love how this product is packed nicely in a box that looks like a book. The design is really nice! For me the price is reasonable for a set of 5 pair of lashes. Compare to the NO.02 series, this one is much more easier to apply. This one gives a nice long separated lash looking. Not too dramatic but just nice. Again, this is also light and does not bother me when wearing it. Compare with the top one and this one, i like this one better in terms of design of the box. hehe. 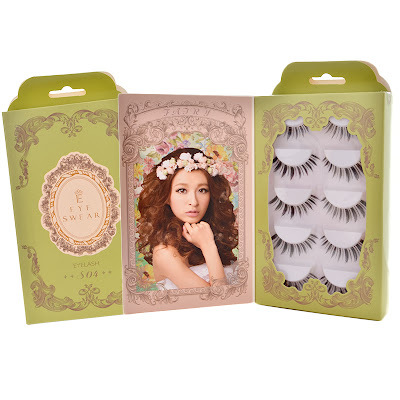 yes, again i think this have a reasonable price for a 5 pair of lashes. I don't find any dislike of this one, maybe just that it may be too long for a smaller eye user. Both look so good on you babe! Glamorous and sweet ^^ it's ok if the lashes are too long you can always trim them :D Did it mention how many time it can used? really? hehe thanks babe! yep, the material use are also not that kinda plastic looking lashes, they look like real hair. Woww. The lashes look yummy!! 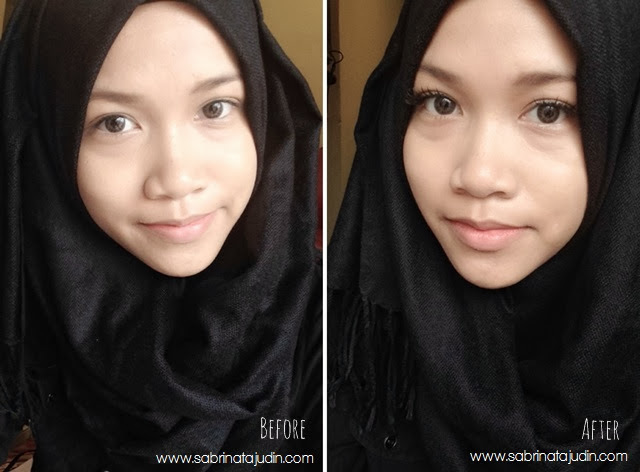 I pun tgh cari false lashes sekarang. 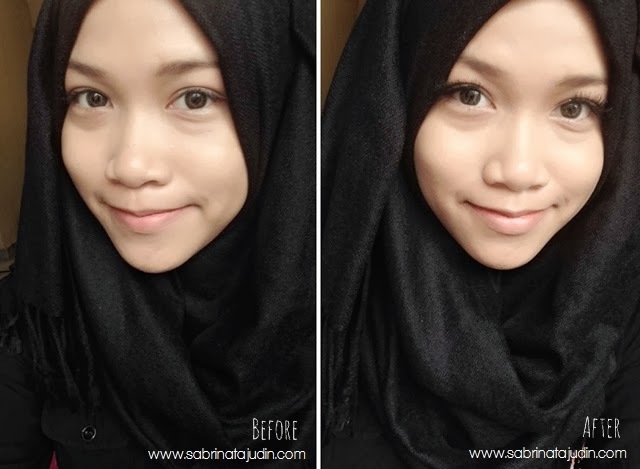 Sendayu Tinggi punya lashes pun cantik and natural. haha aah funky. thats the word! i think because of the selang seli tebal and non tebal lash design on that lash!